Find family friendly activities in Sedona. Sedona, Arizona, is the perfect place to have a family adventure and to reconnect with nature. Surrounded by nearly 2 million acres of pristine national forest, Sedona is a 19-square-mile oasis with big vistas and colorful red rock formations. 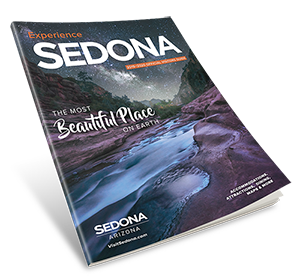 Add to this a mild, four-season climate; a small-town, village atmosphere; numerous outdoor recreational activities; a rich cultural life with a cosmopolitan flair, and a safe, unhurried lifestyle, and it is easy to see why Sedona is attractive to families and a rejuvenating getaway. Here are 10 ways for families to enjoy Sedona and create lifelong memories. Tours are a great way to become acquainted with Sedona. The Sedona Trolley offers two separate narrated tours that provide an overview of the area. For more adventurous ground excursions there are jeep rides (guided or unguided), ATV tours, Hummer tours, Segway tours, several different types of van tours and personalized tours with a one-on-one guide. There are also aerial tours in hot-air balloons, helicopters and small planes and a night-sky tour with astronomers. The Sedona Chamber of Commerce Visitor Center can give tips for creating your own driving tour. Sedona has wonderful festivals throughout the year, including the Sedona International Film Festival in February and the Sedona Arts Festival in October, which always has a children’s-only pavilion. From Thanksgiving to New Year’s enjoy a million twinkling lights in holiday exhibits at Red Rock Fantasy. Visit Out of Africa, a safari-like experience through 104 wilderness acres in nearby Camp Verde. Ride the Verde Canyon Railroad from Clarkdale, a four-hour, round-trip excursion through Sycamore Canyon. (Look for the eagles!) Explore the old mining town of Jerome. Get a taste of the Old West at Blazin’ M Ranch in Cottonwood, with its chuckwagon suppers and live Western stage shows. Experience Sedona’s natural beauty by biking; hiking; camping; swimming in creeks, water holes and, during the summer, at the Sedona municipal pool, water sliding at Slide Rock State Park; skateboarding at the Jack Malmgren Skate Park, playing a round of tennis, golf, basketball or miniature golf; horseback riding, bowling, four-wheeling and fishing. The city parks at Posse Ground and Sunset are equipped with playground equipment, tennis and basketball courts, and game fields conducive to kicking a ball around or playing Frisbee. Sedona celebrates the seasons with citywide events. For St. Patrick’s Day, for example, there is an old-fashioned hometown parade on Jordan Road with six dozen participants on foot, in cars, on horseback, in trolleys and in festive, flatbed floats–from bagpipers in their kilts to vintage cars, greyhounds and clowns. In the Fall and Spring there couldn’t be a more picturesque setting to watch a soccer or baseball game than at the Posse Ground ball fields. Posse Ground also is the site of a municipal Easter Egg Hunt. Attend a living history presentation at the Sedona Heritage Museum, the landmark home of the Jordan family. Explore the museum’s exhibits to get a feel for Sedona’s early days. Periodically, the Sedona Historical Society holds festivals on the museum grounds and offers craft workshops. Visit Native American Indian ruins and petroglyphs at Palatki, Honaki and V Bar V Ranch, which has the largest display of petroglyphs in the Verde Valley. Study the remains of ancient pueblos at nearby Tuzigoot and Montezuma Castle. Take an interpretive tour at Red Rock State Park. Tour the fish hatchery in Page Springs. Go bird watching in area parks. Enjoy Sedona’s art and culture. Attend a play, poetry slam, Indie film, art show, lecture or concert. Tour galleries. Take an art class offered by resorts, the Sedona Arts Center and the Sedona Public Library. Sit on a mountain and dream. Picnic in a state or city park or on the banks of babbling Oak Creek. Be sure to spend some time stargazing into Sedona’s clear, star-studded night sky.